Today on episode 638 I am talking about controlling a conversation from two different angles. 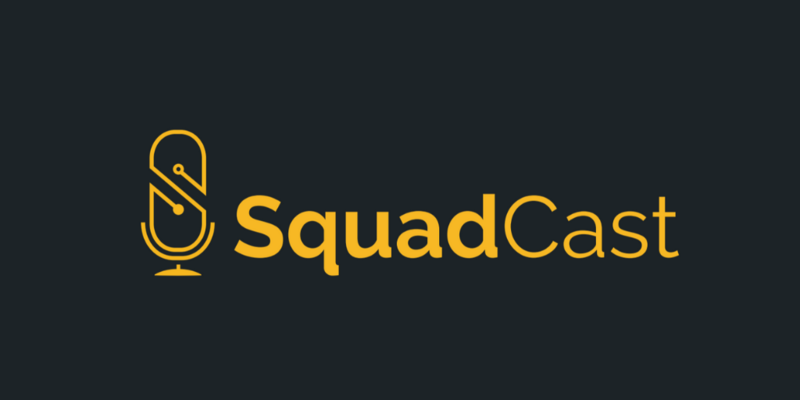 Squadcast is super easy. You put in the email address, the date and time of the interview and it does everything else. The big key is your guest(s) need to use chrome to use the system. The system prompts them to use chrome if they are not. It records their side of the conversation locally to their computer and then QUICKLY uploads it when the interview is done. If there were any glitches where the speaking was cut out during the call, the local recording does not have any of those glitches. One example of a company which ensures you understand their intent is American Airlines who has a podcast called “Tell Me Why.” For example, one episode an American Airline representative explains the changes in their policy regarding support animals. I think this is an awesome job as a lazy journalist (where people just Google a subject, do no research and copy and paste an answer – even it is entirely untrue). could easily spin this as “American Airlines hates all animals.” The good news is American Airlines through their podcast has a DIRECT CONNECTION with their audience (their customers). They don't have to worry about anyone from the mainstream media putting a spin on it. Just because you can say it, doesn't mean there weren't be consequences. For example, I believe it is illegal to scream “FIRE” in a theater. You are free to say it, but you will go to jail. Keep this in mind that stating your intentions and opinion will exercise your right to free speech. It may also introduce you to the law of consequences. There was a time when you were allowed to have a difference of opinion. You might have a “dialogue” so you and another person could examine both viewpoints to see if you agreed on anything, or might gain new insight and expand your knowledge. It seems harder and harder to do that today. As I bring today's slight controversial topic, please note I don't support sexual predators, racists, or anyone spreading hate speech (cause racism is learned from your parents are friends – you are not born a racist). Is Podcasting Frying Your Brain? What is offending is not the episode but rather your poor grasp on basic spelling and grammar throughout many pages on this website.. By the way, if you want to sound like an authority, please learn basic spelling and grammar or hire someone (fiverr) to do it for you.. How do you have an education degree when this is how you write and communicate? By the way, in the sub-title, “Freedom of Speach is Not Freedom from Consequences”- The word “speach” is spelled Speech. Any sixth grader knows that and certainly a g college graduate should know that as well.. It is not that hard. At least have your written copy proof read by someone who does know how to spell and write decently before publishing it to the world.. Geez! I think that is pretty basic..
How again can you confidently charge $200 an hour for consulting when you have such poor spelling and grammar skills in your written web copy? You are a joke sir! What college granted you a degree when you consistently cannot write legibly? and you are tying to sell yourself as an expert? Please! I will say again.. Please! Thank you Dave for this interview. I am actually looking to switch to SquadCast after hearing this interview and then testing it out yesterday. Impressed with what I’ve seen, and it’ll save me a lot of time in editing my interview shows. While your remarks are a tad harsh and personal (ouch), I appreciate your input. My show notes are typically done late at night, and often in a hurry. This does not excuse them, but I’m just letting you know. I often run them through both Microsoft Word, and Grammarly (which has cut down on some of the typos, and you are not the first to point them out). When I used this strategy most of the typos were caught. In the last few episodes, I’ve not used Microsoft Word, and your comment triggered me to investigate and find that Grammarly had been logged out. The minute I logged int, my posts turned red as if I had cut myself. I appreciate your input. As for how do I charge $200? I’m not teaching people how to write, I’m teaching them how to understand the technology, to launch a podcast, and connect with your audience. So I wouldn’t even consider teaching people how to write. That is obviously not my specialty. That would be like you teaching people to be considerate. I do get your point. 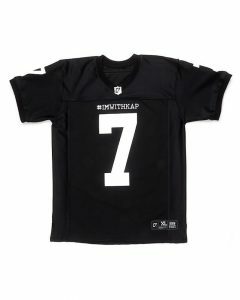 All of this site is my brand, and I need to get my typos under control. I appreciate that and thanks for listening and reading. Would you like to be my proofreader? I understand that you are not teaching people how to write (Obviously) as you are a podcaster and consultant. That was not the issue I was making. What I was peeved about here is a person who is charging $200/hr for services and their spelling and grammar in their web copy has been consistently poor that it is almost laughable and that you are first defensive about it and even self deprecating, and then you miss the point that the issue here is that your brand and image suffers each time you allow it to happen. I mean Biz 101.. Seriously.. Then you go on about what an authority you are and seemingly justify that $200/hr is worth it..
1. You have no awareness that you have a problem here and it reflects really poorly on your professional image and your brand. 2. You are aware of the problem but simply cannot be bothered to hire someone like a freelancer on a site like fiverr to proofread your copy before hitting that publish button. 3. You don’t understand that as a consultant and business professional that it is very important to have these “basics” covered each and every time and it makes you look foolish to other consultants, professionals, the general public and is downright embarrassing especially for someone with and education degree. Especially with such a high price tag per hour, and for something like podcasting. Decent equipment costs that much if not more and a person will get a lot more usage out of the equipment than 1 hour of an experts’ time in this case. What is wrong with the sentence above is the word, “here” when what you meant to say was “hear”… not “here”. That throws the reader off and they either scratch their head or do a double take as it is quite obvious to most readers and again hurts your professional credibility and image. Again here is the peeve..
You are asking people to shell out $200/hr for “expert” advice and guidance and you cannot even get the basic spelling and proper word comprehension correct. Look.. I work as a consultant as well except in a different field. I would never allow such errors to pass through like this.. It shows either a disability or really poor comprehension of language which is fine, if that is the case. However, I would have someone proof it before it hits the web and potential clients see it and make judgments especially since you want to charge for services at $200/hr..
Look, I charge around $125 per hour for my services to companies (My target demographic and client base), and I make darn sure my presentation, written copy and communications are completely free of any errors before it goes public.. That is just how it is in the business world.. Basics! Otherwise they would not take me seriously especially if I said I had a degree in education.. Not liberal arts.. Education.. In which this sort of thing should be well covered before graduation. If someone wants to be taken seriously outside of their immediate circle of peers and colleagues, you have to nail these basics.. Every Time.. 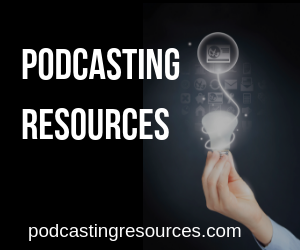 It is that important..
And $200/hr for podcasting consulting? I would laughably pass.. I mean seriously? Everything you mentioned in what you offer for that amount, I can search Google, search YouTube, take Udemy Courses and consult several FB groups and even Quora..
Where is the real value beyond that? What is my return for the money? And if you say, “Well prospective client, you are saving time and I have 15 years experience.” To that I say, Please! I will spend more time editing each episode and purchasing a decent mic, pop filter, software, hosting, etc than what would be worth paying for 1 hour of someone’s time for advice on these things as the info is readily available. Basic to say the least here.. Basic! So if you are going to be taken seriously at that price per hour, you better at the very least show up with a polished image and well written copy that is not riddled with typos and basic 6th grade level grammatical and word comprehension errors as your image will go from seemingly professional to just another “fake expert” or “expert wannabe” on the Internet real quickly. It does not matter how long you have been doing this either..
Again. Where is the real return on investment for this price? How is your consulting in this particular subject area going to give me real measurable or tangible results that I can justify paying $200/hr for? With podcasting in general.. It is not there.. Certainly not with this medium when it takes lots of time, hard work, luck and patience to get any real traction going.. I had someone who had been battling an RSS issue for weeks. I fixed him in 15 minutes. I charged him $60. He had wasted TWO WEEKS with YouTube, Google Searches. I’m not arguing your point. I need to get my writing under control ( I need to come up with a new workflow to include time for outside proofing instead of recording and posting on the same day). Meanwhile, the man who got his RSS feed fixed, or the person I save $200 by stopping them from buying equipment they didn’t need (who paid $99 – would you pay $99 to save $200?) None of them cared about my typos. It didn’t stop me from fixing their issues. It does, admittedly stop me from getting more business (as its a horrible first impression). I agree with you. Are you volunteering to be my proofreader? I’m sure your rate would be very affordable. As someone who has struggled with grammar my entire life, I did install Grammarly, I use proofreader, and I still make mistakes because the computer isn’t perfect. I don’t care if Dave spells something wrong, I don’t care if he uses the wrong there, the $200 is a drop in the bucket if he helps someone solve their problem and gets them to the goal much faster. No one is hiring Dave or not hiring Dave over a typo. Personally, I would not take any consultant serious charging less than $125 per hour. My favorite Podcast, probably because I was on it as a guest, is the Tropical MBA, Dave I love yours too, Dan Andrews and his partner Ian have a podcast and blog, someone pointed out typo’s and Dan said it is my blog if you don’t like it don’t read it. That one sentence has given me a lot of power against the grammar police. I just finished a great book called – Finish – it discussing giving up perfectionism to finish projects. Great book BTW. No human is perfect, even the Boston Globe has multiple errors every issue. If you try to be you will not get done what you do. Dave keep up the great work I enjoy your podcasts and all you give us want to be podcasters.